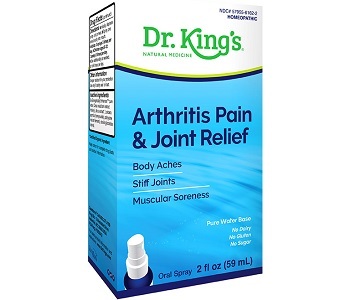 Today we are going to scrutinize a product called Arthritis and Joint Relief that Dr. King manufactured. The review aims to find out all the facts about the product and disclose it to enable consumers to make a calculated decision. The manufacturer made this product to help you temporarily relieve symptoms of backache, stiff, swollen joints, legs crams and sore tendons. The product is supposed to help you also get relief from hip and knee discomforts, body aches and fatigue. The active ingredients in the product are Actaea Spicata, Arnica Montana, Calcarea Carbonica and Calcarea Fluorica. The active ingredients help you relieve pain and stiffness. The inactive ingredients in the product are Pure Water, Citrus Extract, Polylysine and Steviol Glycosides. Speak to a health professional before using any product to avoid experiencing side effects. The manufacturer suggested that you depress the pump until its primed. Hold the pump close to your mouth, and spray it directly into your mouth. You should use the product 3 times a day. If needed, you can use additionally. Adults should administer 3 pump sprays while children should administer only 2 pumps. The product is a 2-ounce pump tube that you can purchase from the official website for $19.99. You will have to pay additional charges for shipping, and the manufacturer has not offered a discount on the product. The manufacturer has offered a money-back guarantee for the product. Customers who are dissatisfied with the product can return it within 30 days of purchase. If you wish to claim a refund, you will have to pay for the shipping costs to get the product back to the manufacturer. 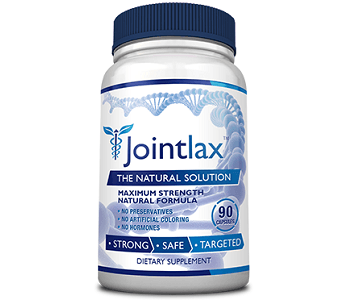 It seems that some consumers will be claiming a refund since they stated that the product did not help to relieve their joint and backache symptoms. After examining the product, we can conclude a few things about this product. We have seen that the manufacturer made this product to help you temporarily relieve symptoms of backache, stiff, swollen joints, legs crams and sore tendons. The product is supposed to help you also get relief from hip and knee discomforts, body aches and fatigue. During our examination, we discovered several drawbacks of the product. The manufacturer has not discounted the product and has made shipping an additional cost. Customers who wish to claim a refund have 30 days after purchase to do so and will have to pay for the shipping costs to return the product to the manufacturer. To find out if the product can produce results, we check with customers to get their feedback. Unfortunately, several customers were dissatisfied with the product. The disgruntled consumers stated that the product did not alleviate their symptoms of stiffness and joint discomfort. To conclude, we view this product as a risky purchase since customers have to incur additional costs if they want to claim a refund, and some consumers have stated that the product does not work.